As Part of Comprehensive Salute to the Classic record, The Choir reunites with former bassist Robin Spurs and will perform the iconic Wide Eyed Wonder album in its entirety. The Choir partners with PledgeMusic for forthcoming album. 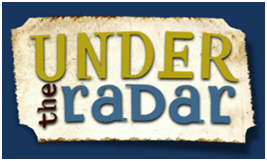 FEBRUARY 10, 2017 – [Nashville, TN] – Legendary Grammy® Nominated rock band The Choir is happy to announce that Under The Radar (UTR) (radarradio.net) will serve as the exclusive media sponsor of the upcoming coast-to-coast “Wide Eyed Wonder Tour,” which begins on March 17. The tour will feature a reunion with former bass player Robin Spurs, and will see the iconic 1989 album Wide Eyed Wonder performed in its entirety. On the heels of a successful 2016 tour to celebrate their classic Circle Slide album, alternative music legends The Choir will usher in 2017 with another album-honoring tour. The focus of the band’s attention this time will be performing their best-selling 1989 release, Wide-Eyed Wonder, in its entirety, alongside other favorite songs, both new and old. 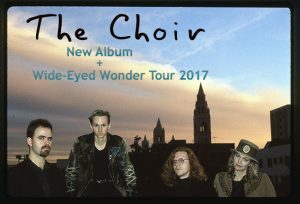 On January 31, The Choir launched a new PledgeMusic campaign to fan-fund a brand new studio album plus a re-mastering and re-issuing of the 1989 classic Wide Eyed Wonder on vinyl and CD. Fans can pre-order the albums in digital, CD, and vinyl format now on The Choir’s campaign page. The leaders in direct-to-fan platforms, PledgeMusic allows artists to get more personal with their fans, offering pledgers updates straight from the band and items not available anywhere else. Pledgers who pre-order the album will receive the AccessPass which will give them early access to a digital download of the full album before anyone else; plus exclusive updates, behind-the-scenes content, and sneak peeks into the recording process available only through PledgeMusic. Fans will also be able to pledge on special merchandise and one-of-a-kind experiences. These include the opportunity to play on the band’s new studio album, acoustic personalized videos, signed acoustic guitars with hand-written lyrics among others. More information on the campaign is at pledgemusic.com/thechoir. This February 11 at 7:00pm CT, The Choir will give a special Facebook Live preview of the W.E.W. Tour, which will stream live for free at Facebook.com/TheChoir. The Choir is a Los Angeles and Nashville based alternative rock band consisting of lead singer/guitarist Derri Daugherty, drummer/lyricist Steve Hindalong, sax & lyricon player Dan Michaels, bassist Tim Chandler. Marc Byrd from Hammock regularly appears on the bands project in a co-producer role in addition to guitar. The Choir is presently featuring Robin Spurs on the Wide Eyed Wonder tour. The group has recorded 14 studio albums, 3 EPs, 3 live albums and a live DVD. Their 2001 album Flap Your Wings was nominated for a Grammy® and their 1996 album Free Flying Soul won a Dove Award. Their music has been featured in TV, film and advertisement including the Amazon original series Red Oaks.